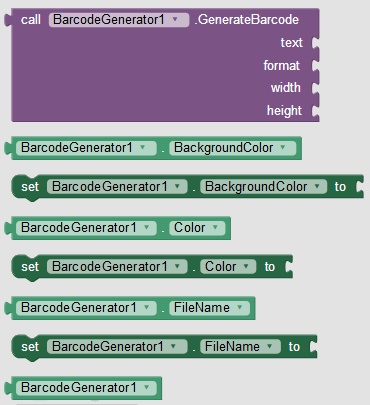 The Color and BackgroundColor blocks use the App Inventor color component. 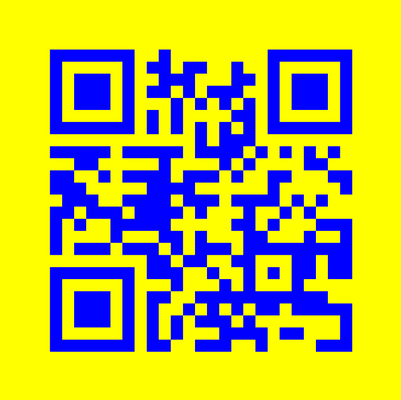 The FileName is the relative path on your SD card, for example "barcode.png" or "/qr/barcode.png". The example shows how the Barcode Generator can be used together with the ESC/POS Simple Converter. The user input consists of a text field for the content, a spinner using the format specifications as list of elements, and two numerical text fields for the size. A button generates the barcode and saves it to the SD card. It is then displayed on the screen and printed using a bluetooth thermal printer. If you have questions or want to purchase the Barcode Generator extension, please contact me via the contact form!